Kevin believes having a comprehensive risk management plan anchors a client’s financial plan by adding strength, security and flexibility. 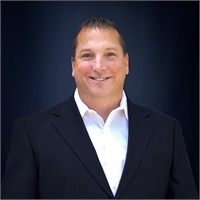 With over 8 years of experience, first as owner and principal at Total Retirement Security in Wading River, NY and now with the Coastline Wealth Management team, Kevin specializes in helping union members and families transition to retirement. Kevin’s core philosophy is that a special family relationship of trust and responsibility is built with a client that often lasts a lifetime and is passed on to the next generation.